On International Women’s Day 2016 OEPS wanted to celebrate the contribution of a few of the women with whom we have been lucky to work since the project began. Whilst this isn’t a comprehensive list and it would be remiss if we didn’t also note that there are substantial contributions from other genders too, these women are all making a mark on Open Educational Practice. 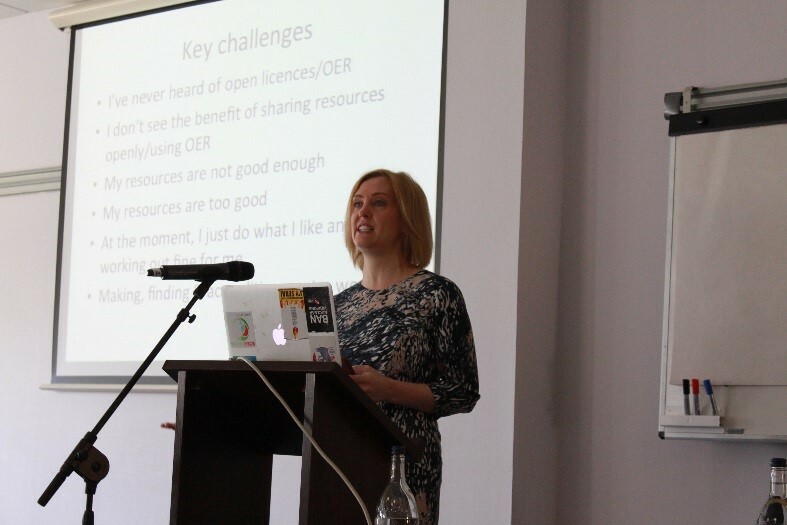 Laura Czerniewicz gave a fascinating and thought provoking keynote at #OEPSforum2 in March 2015 in which she challenged people to think about open educational resources in the global south and the contested environment in which open education sits. This is due to financial barriers to knowledge set against earlier cultural traditions of sharing. So much of the open educational resources and open educational practice world has been focussed on openness in the context of the global north – in other words those with ready access to the internet and higher educational opportunities. In contrast the ’global south’ often lack the facilities which make it easy to access online open educational resources or exchange open practices and the cost of educational materials often makes education beyond the reach of the poorest in society. Laura is the Director of the Centre for Innovation in Learning and Teaching at the University of Cape Town. She has been involved in the OpenUCT Initiative supporting local scholars utilize innovative scholarly communication approaches and encourage them to publish more about their work and share their practice. Also at #OEPSforum2 Lorna Campbell presented a workshop on the future directions of the ‘Scottish Open Educational Declaration’ in which she discussed the formation and development of the declaration and the aspirations for developing it further so that spirit of the declaration could be more widely adopted. It has already been used to raise awareness of open education within individual Scottish institutions and policy. Lorna is the EDINA Digital Education Manager and OER Liaison for Open Scotland at the University of Edinburgh. She has many years’ experience of educational technology and interoperability standards, focussing on open education. She leads the Open Scotland initiative and is co-chairing the OER16 Conference in Edinburgh with Melissa Highton. Allison Littlejohn is a key voice in shaping OER. Her keynote at #OEPSforum3 in November 2015 outlined the guidelines she developed with Nina Hood on ‘Learning open Educational Practice’. Allison reflected on how people come to know about and understand OER and then to embed open educational practice. Alison highlighted the challenges and opportunities which OER bring for educators and learners alike. Allison is a Professor of Learning Technology at the Institute of Educational Technology and Academic Director of Learning and Teaching at the Open University. Allison’s vision is of cross-boundary learning which will facilitate the sharing of knowledge and experience across sectors and disciplines in order to transform the way people learn. Josie is a social and educational technologist and has worked with a wide range of institutions, promoting digital literacy and supporting staff to understand, use and create open educational resources. These are just a few of the inspirational women who are leading the development of open educational resources and open educational practice. However there is a wider question of what open educational resources and practice can do to promote gender parity? Women and girls are often more disadvantaged in relation to access to, participation in and accruing benefit from education. However access to education has been shown to help in addressing issues such as early marriage and pregnancy, gender-based violence and in achieving social and economic outcomes not just for women and girls but society as a whole. Yet education is a basic human right, protected by the Universal Declaration on Human Rights and a myriad of other international (and often domestic) laws. Open education has the potential to widen access to education for women and girls, enabling them to access global thought leaders and subjects that might not be available to them locally. It also provides a platform by which women and girls can share their own knowledge and experiences. Open education isn’t just about the use of online open resources, it can equally be the women’s collective who self-organise to run education classes or to share knowledge with others in their area on an open basis, or the group of women senior managers who have an open action learning set or who use open educational resources to develop their leadership. There is a role for open education to contribute to closing the gender gap now, to ensure that all genders are treated equally, to facilitate women and girls achieving their ambitions, to challenge discrimination and bias in all forms, to promote gender balanced leadership, to value contributions equally, and to create inclusive and flexible cultures. How will you #PledgeforParity to address the gender gap? We are delighted to announce that Josie Fraser will give the keynote at the #OEPSforum4 on 9th March 2016. Josie is passionate about ensuring access for everyone and how open educational resources (OER) and open educational practices (OEP) can help achieve this aim. She wants the OER world to find ways to make education more accessible to everyone regardless of whether learners happen to be taught by an OER enthusiast or not. Josie describes herself as a social and educational technologist. 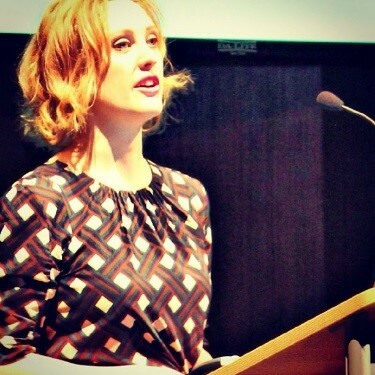 She has been working with Leicester City Council since 2010 leading the technology strand of the city’s Building Schools for the Future programme, this has included finding ways to support school staff understand, use and create open educational resources. She organised the UK’s first OER Schools conference in 2015.